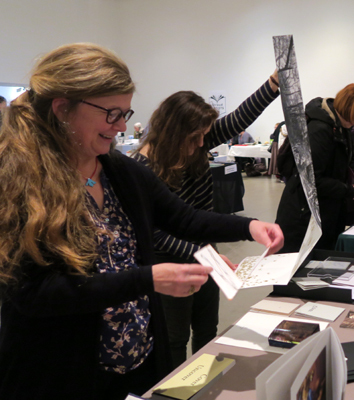 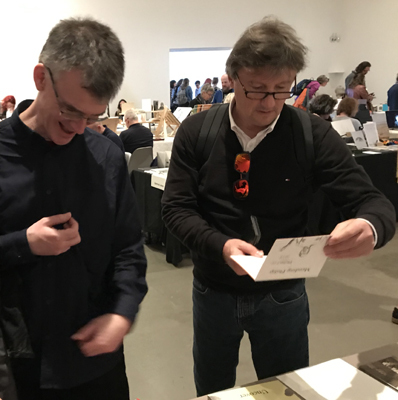 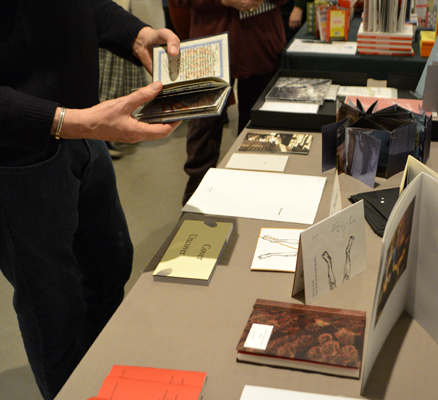 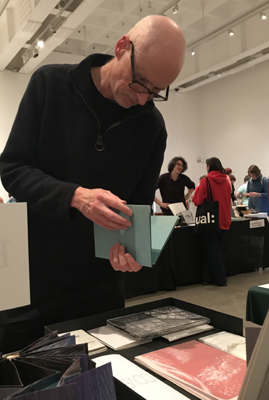 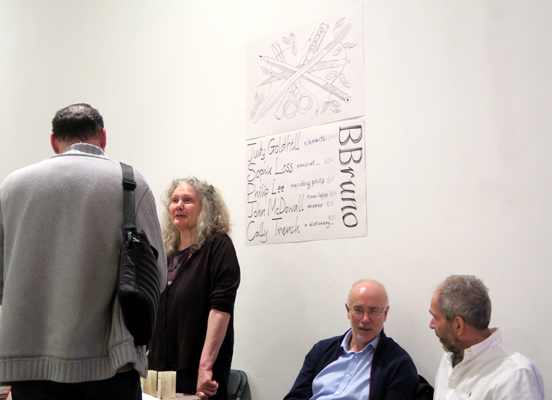 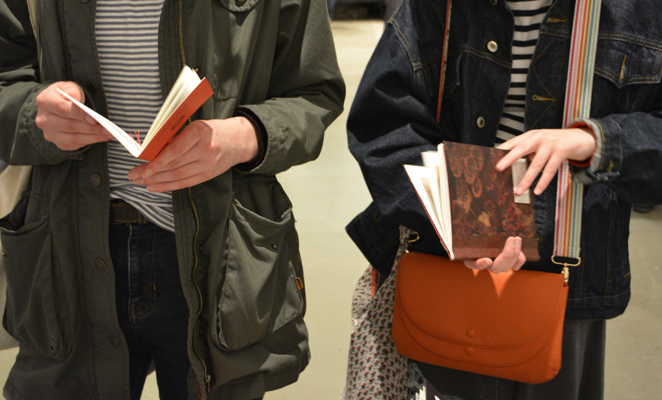 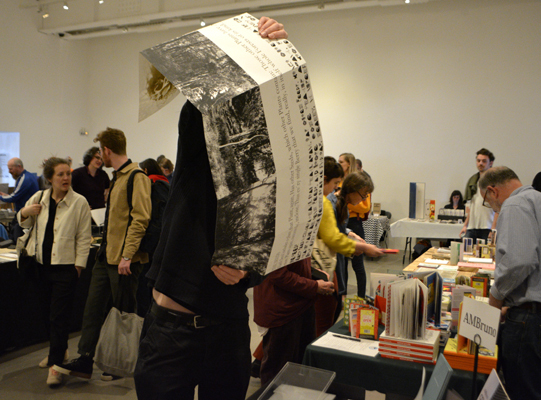 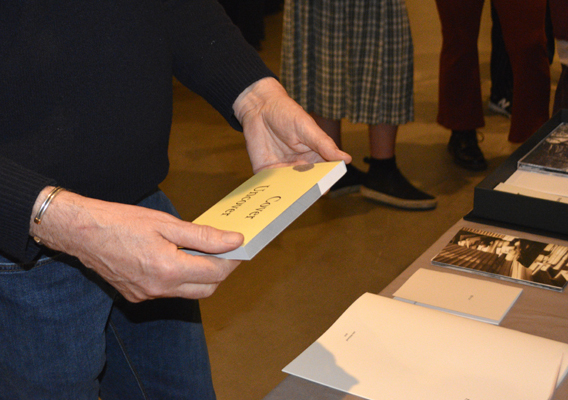 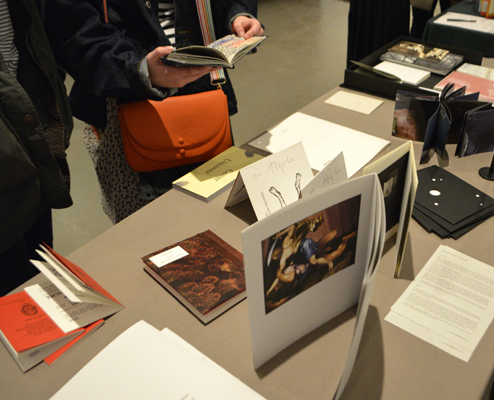 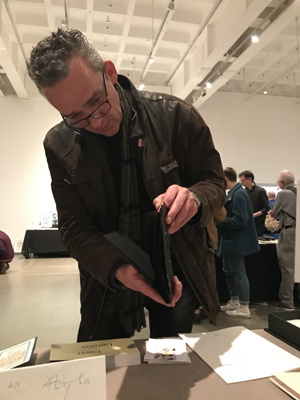 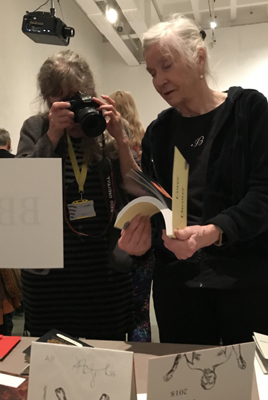 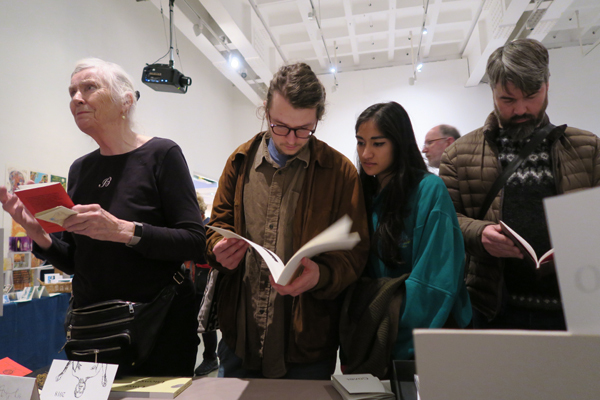 AMBruno and BBruno participated in Bristol Artists Book Event (BABE) 2019, which took place at Arnolfini on Saturday 30th and Sunday 31st March 2019. 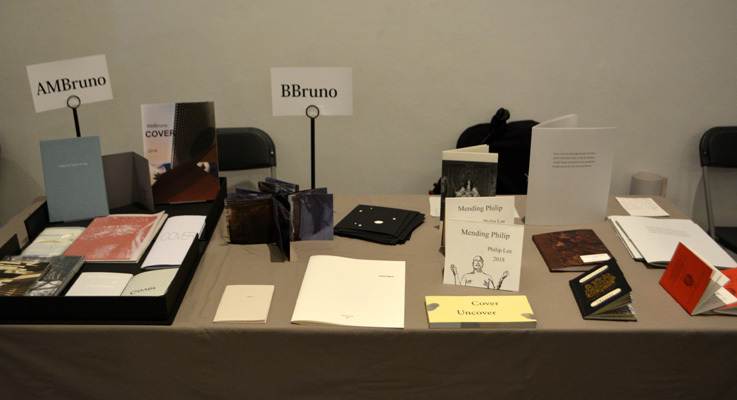 The twelve books made for the Cover project were shown, along with new books by Sophie Loss, John McDowall, Judy Goldhill, Philip Lee, and Cally Trench (in this iteration of BBruno). 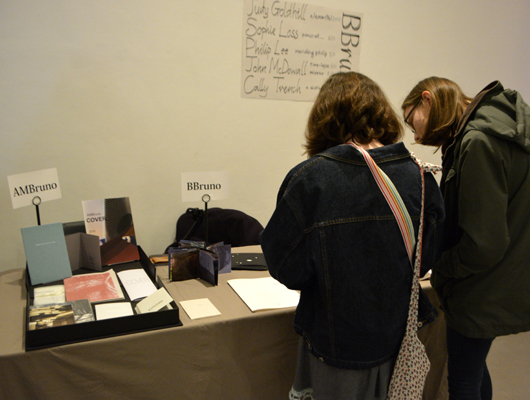 BABE is a biennial festival, which started in 2007, featuring the work of bookmakers and small presses from around the world. 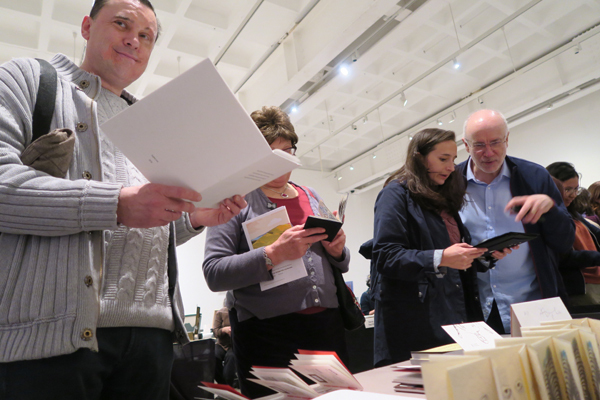 Thank you to Sophie Loss, John McDowall, Philip Lee and Cally Trench, who accompanied the books to Bristol.